Believe it or not, but the Nimbus 18 and the Cumulus 18 are not clouds or Harry Potter racing brooms. Instead, they are both styles of popular running shoes that will supposedly help your performance and protect your feet. But what do you need to know about shoes? In terms of weight, running shoes should be comfortable and easy for you to move. Running with heavy shoes can cause unnecessary tension and muscle strain, leading to unsafe exercise and potential future health problems. The American College of Sports Medicine (ACSM) recommends that your footwear be 10 oz. or less unless you have larger feet. Surface angle refers to the bottom of your shoe. Sometimes manufacturers will angle the soles so that they are higher than the toes. Extra heel padding messes with the natural form of a running human and, again, causes tension and raises the risk for injury. Finally, it’s recommended that you run with a shoe that doesn’t have a bunch of extra bells and whistles. Too much padding or modulation within the shoe serves the same function as padded soles. It distorts the natural running form of each person and increases muscle strain and the potential for accidents. Other sources like WebMD present the same qualifications and further suggest you not force your shoe to do too much. Minimal features seem to create the best environment and can help prevent issues like pronation, which is when your bones rotate and cause you to put pressure on the section of your foot. So, when choosing the right shoe for you, it’s important to find one which feels comfortable and doesn’t contort your feet too much. If you do need shoes with special considerations, it might be better to speak to an orthopedic professional to find the shoes which are right for you. If you don’t have those kinds of limitations, then either the Nimbus 18 or the Cumulus 18 would be a wonderful choice to cushion your feet as you increase your athletic prowess. The Nimbus 18 is made from a flexible stretched mesh designed to create a tight fit around each wearer’s foot. This customized fit uses breathable material but prevents footwear from sliding around in between steps. Asics additionally uses several of their personal technologies in the shoe’s design, including FluidRide and the Gel Cushioning System. Both features reduce the weight and pressure created by the runner while adding extra padding to cushion impacts with the ground. This cushioning can be either a positive or negative aspect of the Nimbus 18 for athletes. Some people enjoy having the presence of extra materials to reduce tension and help absorb some of the shock from the foot slapping onto the ground. Others might find it irritating and feel uncomfortable while running. These shoes are additionally more customizable with some of their features and can range in price from $65 to $140. It’s easy to find a style and size to suit any runner’s needs. Another fun characteristic of the Nimbus 18 is its durability. The average athlete was able to keep using these shoes for roughly a year of moderate to hard use, making them a popular choice for distance runners and sprinters alike. This video below demonstrates how the Nimbus 18 hits and clutches the ground when a person runs. The slight shape and slope of the bottom provides the extra cushioning mentioned above, as do some indentations and layers on the inside. These shoes weigh exactly the right amount with a range between 10 oz. and 14 oz. per shoe. The Nimbus 18 has a slight slope because of the shock-absorbing gel incorporated in the design. This angle is almost undetectable, meaning the shoes can be comfortable for most people. Nimbus 18 running shoes have almost no extra features besides the added cushioning, making them a great choice for runners who don’t want anything to weigh them down while running. 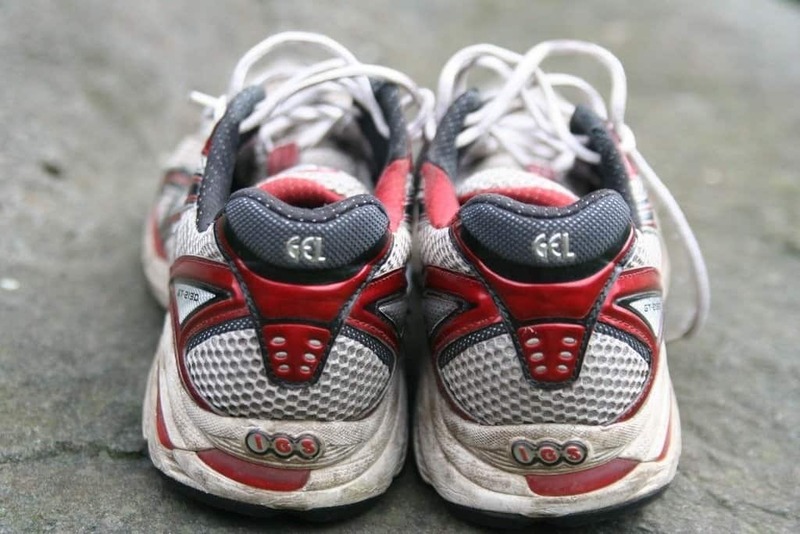 Running shoes can be expensive and many wear out quickly, especially if you’re an outdoor exerciser. A seductive feature of the Cumulus 18 model is its durability compared to its price. Most of the shoe’s patterns, sizes, and colors can be purchased for between $88 and $120. For this price, the Cumulus 18 is expected to last for a year or so and features a durable sole. The sole is made of Asics High Abrasion Rubber (AHAR), which many runners find to be stronger than the traditional blown rubber of other brands. The material used is additionally breathable and allows air to reach the feet, mitigating some of the discomfort of heat and sweat, especially in the summer. Many athletes find that the mesh wraps around their feet without creating a tight seal, allowing them to be flexible yet supported. One of the biggest pros and cons of the Asics Gel Cumulus 18 is the presence of cushioning. While some runners appreciate the softness and find that the padding helps sore feet, others don’t like it because it reduces the ground feedback for the runner. Depending on your own preferences, this shoe could either ease tenderness or cause more problems. With these features, how does the shoe rate in accordance with the factors laid down by the American College of Sports Medicine? Each shoe weighs roughly 10 oz., meaning the Cumulus 18 perfectly matches the standards of the ACSM. The ACSM recommends a flat shoe for most runners. The Cumulus 18 does have a downward slope caused by a raised sole, which can cause discomfort for some people. However, this angle can actually be beneficial for runners with flat feet. The shoe was designed to offer increased mid-foot support for the runners who use them. Someone who struggles with balance or who experiences pain after running would appreciate a sloped surface angle because it evens out the pressure and tension placed on the foot. Here is the main area where the Cumulus 18 differs from the ACSM guidelines, but it’s not a bad thing. The Cumulus 18 was designed to be comfortable and work with individuals who enjoy running but experience problems with stability, tension, or pain. The shoe comes with additional features like padding and integrated technology to lower the shock of impact. 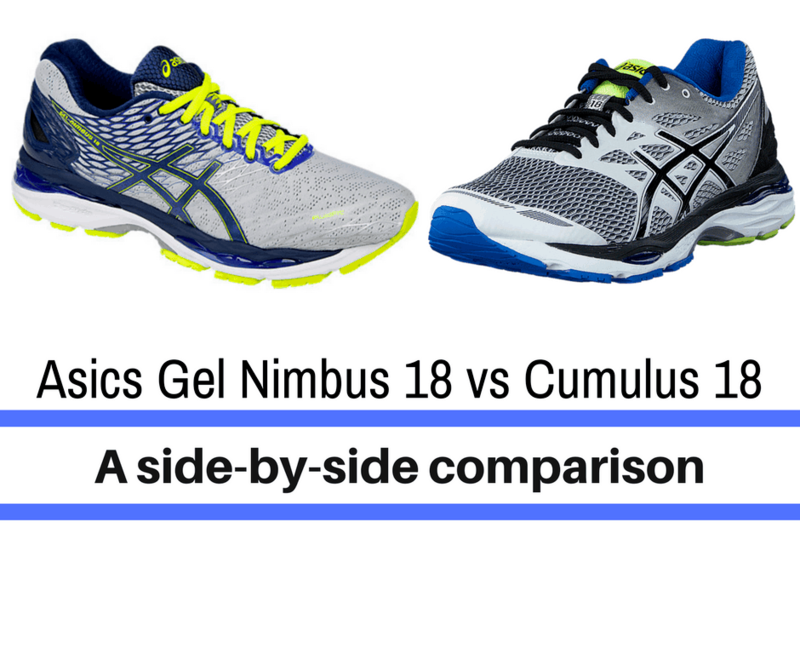 The Nimbus 18 and the Cumulus 18 are produced by the same manufacturer and share similar features. Both emphasize the importance of cushioning your feet while you run and have materials designed to absorb the shock of your foot hitting the ground. Both shoes additionally use mesh materials to wrap around your feet, and they are the appropriate weight for running. They also cost similar amounts and come in a variety of colors, making customization easy for wearers. The main difference between the two products is how much hardware they have packed into them. People who would like a more flexible, flat shoe would be more comfortable in the Nimbus 18, which has a gradual, almost nonexistent slope. Runners who like more support and padding would prefer the Cumulus 18, which is sloped and packed with more material to cushion impacts. The Cumulus 18 also has a tighter fit, which is good for people who worry about their shoes moving around too much while running. Athletes who prefer a looser fit would have better luck with the Nimbus 18. Neither shoe will fall off of your foot, but a pleasing fit can make the difference between walking on the clouds and racing through gravel. When it’s time to pick new running shoes, you really need to know your feet. Minimalistic designs are popular in the community because they don’t distort your feet too much when running, which helps prevent future physical problems. However, sometimes we all need a little support. Both the Nimbus 18 and the Cumulus 18 have features to make running more comfortable for all. The trick is to find one which suits your workout and feels good on your feet. Either selection could fulfill this role.